Amda Sesumee: A rare addition to the Covenant Military. 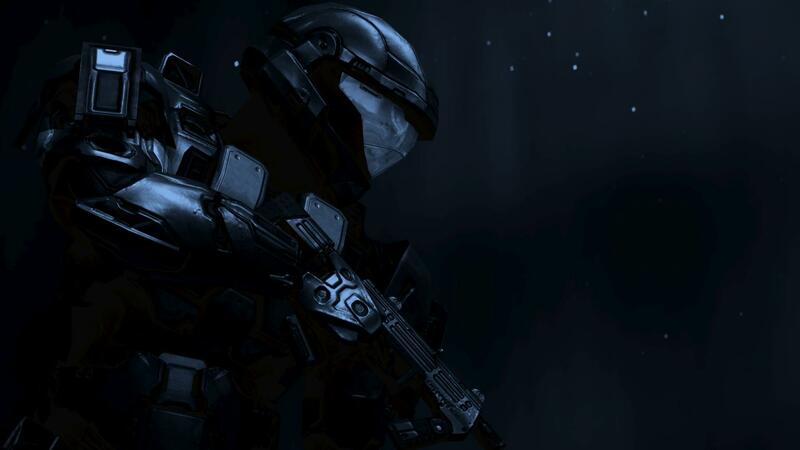 Amda is currently a Special Operations Sangheili whose focus lies in Assassination and Infiltration. She is feminine, but also has more passion then most of her male counterparts. She wears purple and white armor, with the standard Spec Ops armor, but her helmet is the newer Combat style (the normal helmet from Halo 3). She currently serves as Droa’s spy and assassin. She pursues a romantic relationship with Droa after Hera left Droa. She assisted him in avenging his honor, and after about two months, they began to fall in love. They keep their relationship a secret, as fraternization is illegal under current Covenant regulations. As children, they always were fighting together. She took great pride in her ability to fight, and she loved Droa for helping to train her. He also helped become what she was today. Her father, the Kaidon of the Sesum state on Sangheilios, wanted her to fulfill the traditional role of breeding, but she refused. After they came of age, Droa went to the Academy on Sangheilios, and helped Amda escape her father. She trained in the Academy with Droa, disguised as a male recruit. After graduation, she went on to become a Special Operations soldier, while Droa went to the front lines and became a General. When she discovered he married, she was jealous, and occasionally spied on them, to see how they were doing. But, when Droa was on New Constantinople, Amda discovered Hera cheating on Droa. She gave the info to Thel, and they helped Droa get revenge. M'tha Nuramee: M'tha is Droa's Navigation officer aboard the 'Light of Honor'. He coordinates Slipspace jumps and gives tactical data during Ship-Ship battles. M'tha was never really on a planet. He was born aboard a space station orbiting a major Sangheili colony. For most of his life, he never really was on the ground. He preferred to spend his life in space. Droa and M'tha met aboard High Charity during Droa and Hera's honeymoon. There Droa offered him to join his team. At the time, M'tha was shunned by his kind for his unwillingness to battle on the ground. Not because he was afraid, but because he felt uncomfortable on the ground. So he gladly accepted Droa's offer. Soon Droa discovered that he was a excellent Space Tactician and and a awesome Boarder. So, when Droa received command of a Cruiser, he gave M'tha the role of Navigation officer. So now he plots jumps, locates enemy ships, and advised best courses of maneuvering. But when Droa wants to board a vessel, M'tha is the first to join the fight. He wears Major Armor with a Flight style helmet. Xtan Rolanee: Xtan is Droa's Weapons Officer aboard the 'Light of Honor'. From the start, he was a bloodthirsty Sangheili. He made his first kill when he was seven years old, and it was a Jiralhanae prisoner. He always wanted to be in battle, and when fleets were assembled, he would be the first to volunteer for the invasion detail. He loves big, destructive weapons. But strangely enough, he also sees honor in the humans fighting, and as such joined with Dora after he heard of his reputation. He is a heavy user of heavy weapons, and after Droa received command capability, he was assigned as Weapons Officer. So now his task is to keep the weapons online, and to designate targets. He uses Ranger Armor with extra armor, and has a Grey and red pattern. He still joins Dora on the battlefield, and has proven himself more destructive than a whole Mgalekgolo team. Forus Falumee: Forus is a cousin of Droa's and also the Shield Officer aboard the 'Light of Honor'.He is very defensive in nature, as he was the one who witnessed the High Prophets murder Droa's parents, or his Aunt and Uncle. Since then, he has done all he can to protect his cousin, and has come to be known as a shock trooper. Being able to go into the thick of a firefight, and come out without a scratch attracted Droa's attention, so when he received command of his first cruiser, he found Forus and gave him Shield Officer status. His job is to manage the shields of the Assault Carrier, and to redirect power to where ever the threat is. He wears Major armor with a Assault Helmet, and has modified his armor to increase shield strength. He also sports the traditional crimson color of Majors. When he joins Droa, he has the confidence that he can defend his cousin. Grel Dorumee: Grel is both the Engineering Officer and Quartermaster aboard the 'Light of Honor'. He was allays technical oriented, and even though he loved battle, he also liked to take weapons and dissect them. He even did this to human weapons. Droa and Grel met when Droa discovered him tampering with Covenant weapons. Under normal circumstances, this was a treason punishable by death, but Droa needed his expertise and recruited him into his team. Now he is the Engineering Officer, making sure the Assault Carrier runs in top performance. He is also a medic, who heals Droa or his allies if they become wounded. He wears Minor Armor, but uses a Ascetic helmet, which was given to him by his teacher. He has a Green and yellow pattern. Such a great post! Two thumbs up!